“I am the bread of life,” Jesus said, not once but twice. “I am the bread of life.” When was the last time you ate the bread of life? I’m not asking about the Holy Eucharist because I don’t think that is what Jesus is talking about in today’s gospel (John 6:35, 41-51). I’m not denying that the eucharist can be and is bread of life but maybe it’s just one slice in a larger loaf of bread. Maybe the bread of life is the eucharist and more than the eucharist. Maybe you and I are to become the bread of life, just like Jesus. Think about all the people, relationships, and experiences that have fed, nourished, and sustained your life. Think about a time when someone else fed and nourished your life and I mean more than that they fixed your supper. I’m talking about the kind of people that spend their time and their presence with us. They love us. They teach us. The care for us. They encourage us. And our lives are fed and nourished by them. Sometimes it’s not even what they say or do, just being in his or her presence is itself bread. Aren’t there some people that when you spend time with them you just feel well fed and full? Recall someone who offered you wisdom or guidance, who listened to your life, or spoke a word of hope or encouragement that nourished and sustained your life. They were bread for you. Or maybe there was someone who helped you discover meaning or purpose in your life. Perhaps it was someone who said, “I forgive you” and you were strengthened to move forward. Maybe someone believed in you when you weren’t so sure about yourself. Our lives are nourished and fed by others in thousands of ways. How have you been fed by the life of another? What if that’s what Jesus is talking about when he speaks of himself as the bread of life? Throughout the gospels we see him feeding and nourishing life in so many ways and circumstances: through his love, presence, guidance, and teaching; through his healing, forgiveness, and mercy; through his generosity, compassion, and wisdom. This is the bread that feeds the soul. Those qualities are not unique to Jesus. They can be ours as well. It’s one way God shares God’s life with us. We both eat that bread of life and we become it. We partake of the bread of someone else’s life and our life is nourished, our life is sustained, our life is strengthened. Who would that person be for you? What’s her or his name? What did he or she do or say that fed your life? And the corollary question today is this. When have you been bread in someone else’s life? When have you fed and nourished them? When have you sustained them? When have you strengthened them? We so often hear Jesus say, “I am the bread of life,” and we assume he is the only loaf in the basket. But what if that is not what he is saying? What if he is not claiming to be the exclusive loaf of bread in this world? What if he is teaching us what bread of life looks like so we can find it in this world, so we can become that bread, so we can be that bread for another? Have you ever been given a starter batch of sourdough? It holds the potential to become bread, to feed and nourish. What if Jesus is the starter batch in us? What if rather than making an exclusive claim about himself Jesus is giving us the recipe to become as he is, to become the bread of life for the world? Maybe that’s just how God works in the world. Something in us gets leavened, rises, and becomes bread. The issue is not that they don’t believe that God provides or that God feeds. The issue is that they know Jesus and his mom and dad. They know where he is from. He is the kid from Nazareth; he could not be bread from heaven. That’s often the problem for religious people like them. They know just enough that they can’t know anything more or consider that there could be more to know. They’ve made Nazareth and heaven mutually exclusive. He couldn’t be from heaven because he is from Nazareth. Lucky for us we don’t have that problem. We know Jesus is from heaven. We have a different problem, however. We know Jesus is the Son of God come down from heaven. Religious and faithful people like us are often so sure of Jesus’ heavenly origin that he couldn’t possibly come from Nazareth, Uvalde, Knippa, or the colonias of the Estates. That’s often the problem for religious people like us. We know just enough that we can’t know anything more or consider that there could be more to know. Maybe it’s not one or the other, but it’s both. Maybe Nazareth and heaven are not mutually exclusive. What if both are necessary ingredients in the bread of life? What if it takes both to be and become the bread of life? I think that is the direction and focus of Jesus these last few Sundays. We have been in the sixth chapter of John’s account of the gospel for the last three weeks. It’s been three weeks of feeding, three weeks of bread, and we’ve got two more to go. Something is going on here. Jesus begins it with the feeding of the five thousand with five loaves of bread and two fish. But maybe that’s only to get our attention and to tell us that it is really not about the bread or fish. It is about a way of living, it is about a way of relating. Remember last week? He said you have got to know the difference between food that perishes and food that endures for eternal life, between bread that is perishable and bread that is imperishable. And then he takes off on this bread of life stuff: the bread that lasts, the bread that endures, the bread that never runs out, the bread that never gets stale or moldy. The reality is that there is a lot of bread in this world. For Jesus, however, the only bread that matters is the bread that endures, the bread of life. But if you look through scriptures you will find references to all sorts of bread: the bread of adversity, the bread of tears, the bread of affliction, the bread of mourning, the bread of wickedness, the bread of idleness, the bread of the stingy, and it goes on and on. And when you get right down to it, there is really only two kinds of bread; the bread of life that feeds and nourishes and sustains, and all the other bread that leaves us hungry and malnourished. What kind of bread are you eating today? Does it fill and nourish you? Or does it leave you hungry and malnourished? Is it sustaining and enduring or has it become hard and dry? The bread we choose to eat says something about our appetite and what we hunger for. What’s your hunger? What’s your appetite? 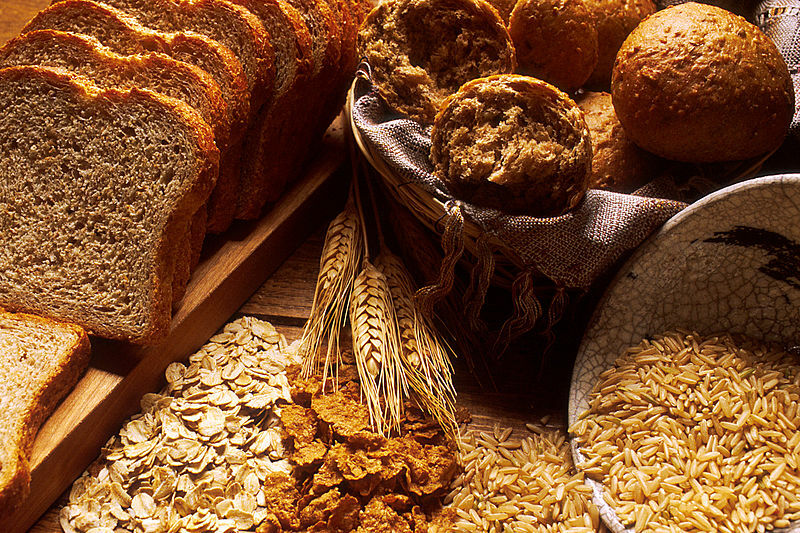 Do you need a change in diet, to choose a different bread? Let’s not forget the old saying, “You are what you eat.” If we want life then we need to be eating the bread of life. If we want to bring life to another then we need to be the bread of life. What kind of bread will you eat this week? What kind of bread will you be for another this week? God is infinitely generous. He shares His creativity with us. I ponder how, in the Old Testament, the faithful offered gifts of wheat and grapes. At the Last Supper, Christ, the Anointed One, used bread and wine. This is wheat, transformed by yeast and human action, into bread. And grapes, transformed by yeast and human action, into wine. I continue to be amazed by His generosity. Also, as an amateur botanist, I find it interesting that, just as God uses us as an intermediary, His world makes use of intermediaries – yeast, for instance – to transform. Very nice connections and insights Mary. Thank you. It reminds me of the offertory – bread, wine, money. To look deeply into those is to see the dirt, seeds, grain, sunshine, rain, grapes, framers, bakers, time, effort, sweat, …. The gifts of God’s creativity and the work of human hands coming together.